As a small child I cut my teeth fishing farm ponds and small lakes alongside my fishing hero’s - my Dad and grandfather. From that point on I was hooked. The passion for bass fishing is definitely in my blood. My hero’s taught me a lot about life like the value of honesty and a strong work ethic. I have used these two character traits to build a successful flooring business – Haynes Hardwood Flooring. Even though I had the passion, I knew there was still a lot to learn about fishing. Understanding the dynamics of larger lakes was definitely one area where I could use a little schooling. Growing up I had very little opportunity to fish large, deep water lakes and I felt that I was at a disadvantage. Fortunately, I met a man that would become a very dear friend and fishing mentor, Mr. Long. Mr. Long was generous enough to teach me everything he knew about deep water fishing. I soaked it up like a sponge. In 1998 I moved to Pickwick, Tennessee and was able to put all my newfound knowledge to the test. I learned everything I could about the lake and started fishing local tournaments. I have now awakened my second passion – tournament fishing. 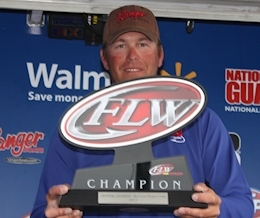 In 2008 the FLW EverStart tournament came to town and after a lot of persuading by my wife and my parents, I entered the tournament and won. It was an awesome day, one I will never forget. Shortly thereafter, the Professional Anglers Association announced a 4-man team tournament the “Corporate Cup” on Pickwick Lake. I became a member of the association and our team, Haynes Hardwood Flooring, won the event. Winning these two events and competing against some of the best anglers in the nation, ignited my dream of one day competing on the professional tours. I am now ready in my personal and professional life to make that leap. 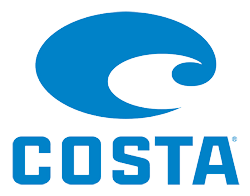 I will still continue to operate Haynes Hardwood Flooring under the same high standards that it’s known for, but I will also embrace new challenges and opportunities to learn more about the sport that I love so much, bass fishing. God has certainly blessed me in many ways, a wonderful and loving family, a successful 22-year business and the strength and ability to do what it takes to fulfill my dream.
" The Z-Boss 20 was designed by FLW Champion Randy Haynes and 4 time Bassmaster Champion and former Angler of the Year Timmy Horton. 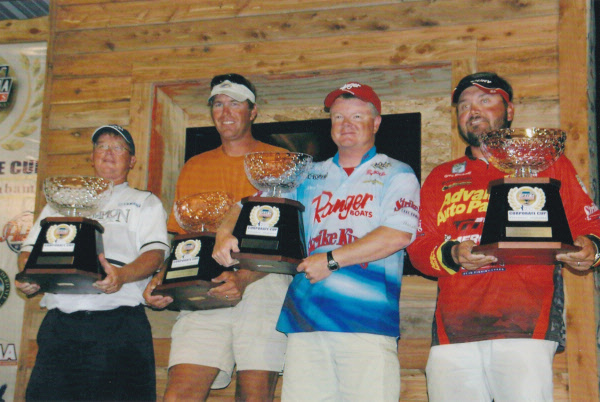 Two of the most dominate crankbait anglers to ever fish professional tournaments."